you quench our thirst and wash away our sin. Give us this water always. The daily lectionary I am following in this series of posts focuses on the Revised Common Lectionary, building up to a Sunday’s readings Thursday through Saturday then glowing from those readings Monday through Wednesday. 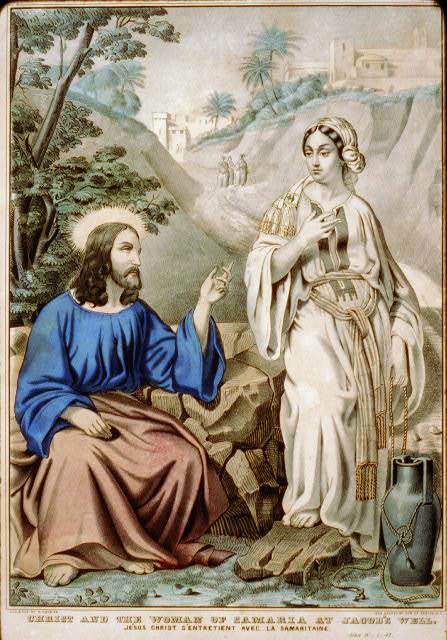 Thus, for the purpose of this post, one needs to know that the Gospel lection for the Third Sunday in Lent, Year A, is Jesus speaking to the Samaritan woman at the well. This is the longest recorded conversation of our Lord and Savior in the Gospels. And it was, I have mentioned, not only with a woman but with a Samaritan–a radical step in that social milieu. That Jesus, what will he do next? Which social norm will he violate tomorrow? I bring the discourse on living water in John 4 into this post, for that content belongs here also. At a well a servant of Abraham found Isaac’s future wife and Jacob’s mother, Rebekah. At a well Jacob met one of his future wives, Rachel. Wells were crucial sources of life-giving and life-sustaining water, especially in an arid environment. And, elsewhere in the biblical narrative, God provided water for the wandering Israelites in the desert after the Exodus and before the settlement of Canaan under the leadership of Joshua, son of Nun. The tie between water and the sense of God providing for the people was palpable. To love is to live according to [God’s] commandments: this is the commandment which you have heard since the beginning, to live a life of live. As we journey through the wilderness of anxiety, fear, animosity, misunderstanding, and perhaps even hatred, may we drink deeply of the living water of Christ-like love–agape–which accepts others unconditionally and self-sacrificially. May we trust that God will provide sufficiently and on time. May we have the grace and strength to seek the best interests of others–also our own best interests–for we are all in in this life together and dependent on God. May this living water enable us to help others–therefore ourselves–and to love and glorify God, regardless of how bleak the wilderness seems or is. Rebekah, sister of Laban, was generous, unlike her brother. And, according to the narrative, she became an instrument of God’s will. (She was also a trickster.) Just as the divine promise favored Isaac, the second son of Abraham, it also favored Jacob, the second son of Isaac. The human means of granting this favor in each case were morally difficult, to state the case simply. And so I scratch my head and ask myself what I am supposed to make of such stories. Jesus was surrounded by people who were oblivious–metaphorically blind–to his identity. 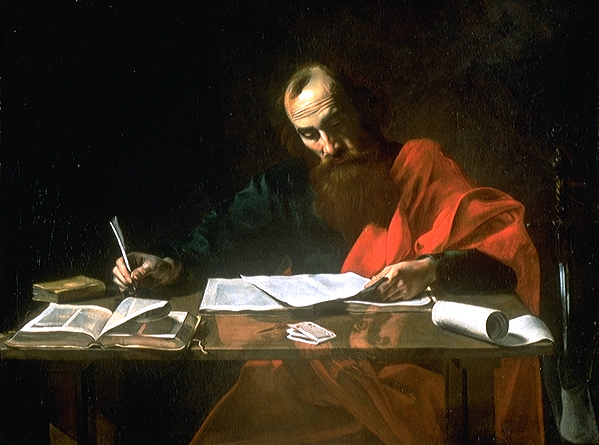 Peter grasped that Jesus was the Christ–the Messiah–yet misunderstood what that meant. And, as for Pharisees demanding a sign, why was another multiplication of food insufficient? I prefer that reality to comfortable ignorance. We meet Jesus in print via Bible stories yet others encountered him in the flesh. And many of them were confused. You, O reader, and I have the advantage of hindsight. But we are also subject to confusion. Nevertheless, such confusion can turn into knowledge of the truth, as it did in the case of Peter. He, of course, took up his cross (literally). Our crosses might not prove as costly, but what if they do? Are we prepared for that? What can I say or write about the near-sacrifice of Isaac in Genesis 22 without repeating myself? Nothing! I refuse to make apologies for it. 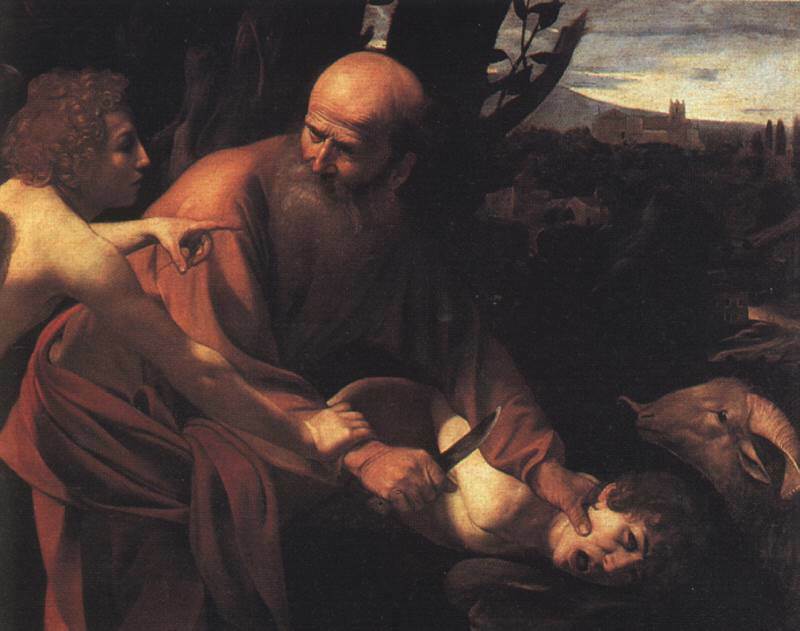 There is no record in Genesis that father and son spoke again after that incident. 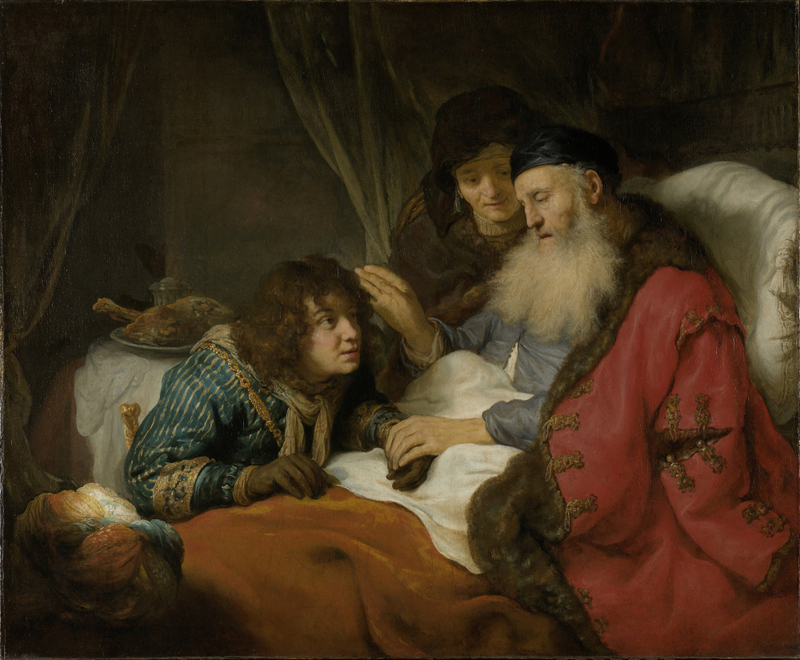 They must have had conversations afterward, but Isaac’s relationship to Abraham must not have been the same as before. How could it have been? Really, O reader, if you were Isaac, how much would you want to say to your old man after such an incident? One traditional lesson drawn from Genesis 22 is that God does not desire human sacrifice. And narrative praises Abraham for his faithfulness. Really? But should not Abraham have pleaded for the life of his son? He begged God to save the lives of strangers in Genesis 18:22-33. Sometimes we are supposed to argue; sometimes that constitutes passing the test of faithfulness. The Syro-Phoenician woman in Mark 7:24-30 passed the test with flying colors. Abraham apparently loved his son and sought a wife for him in Genesis 24. The patriarch was not a villain, but his record as a parent was troublesome. (What about his treatment of his first son?) But Abraham did take care of his second son–at least after trying to kill him. Jesus, in Mark 7, presents a great lesson in several parts. Food does not make one unclean. Ritual purity–in this case, in the form of the ceremonial washing of pots–is irrelevant. No, bad attitudes and resulting sins of commission and/or omission made one unclean. A Gentile woman impresses Jesus with her faith and debating skills. But manipulating the Law of Moses and interpretations thereof to the detriment of others does make one unclean. The standard (once more) is compassion. Any human tradition which contradicts it is wrong. To point to such violations from long ago is easy, and does not cost one anything or cause one even the slightest discomfort. So I invite you, O reader, to look around. Consider your present reality. Where are violations (considered respectable and proper) of compassion? And will you argue with them? What will that cost you? What will not arguing with them cost you?